As an accredited company, we commit fully to delivering a professional, responsive service that can be relied upon 24/7. We commit to making sure our service is delivered safely, effectively and efficiently. N & J Tree Services Ltd carry out a range of different tree surveys, providing reports collated by professional, qualified surveyors. Our surveyors can advise the correct and relevant type of survey/report necessary to suit the needs of our clients and their trees. This is the most economical type of tree survey. All trees will be inspected, with areas zoned in terms of target value (i.e. low occupancy / low risk), but only details of those trees which are potentially hazardous are recorded within the tree report. Clients with a large number of trees and a limited budget tend to favour this type of tree survey. This is the next level of tree survey whereby details of all trees are recorded individually within the tree report. 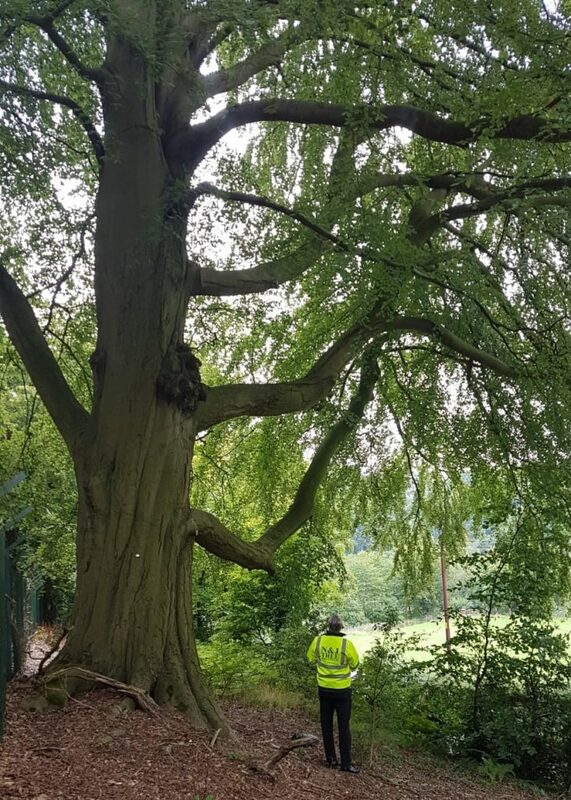 This type of tree survey suits clients who wish to have a full inventory of trees within their care and where there might only be a relatively small number of individual trees on the site. 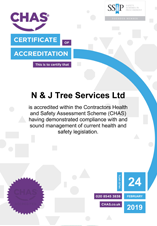 N & J Tree Services Ltd are licensed users of the Quantified Tree Risk Assessment module (QTRA), which is a system that quantifies risk. A figure representing the probability of significant harm occurring is included within the QTRA Tree Report. This type of tree survey is often favoured by those responsible for a very large tree stock. This is often required by lenders to ensure that there is no risk of subsidence to the property, which could potentially affect the property value and result in unrecoverable costs for lenders should things go wrong. 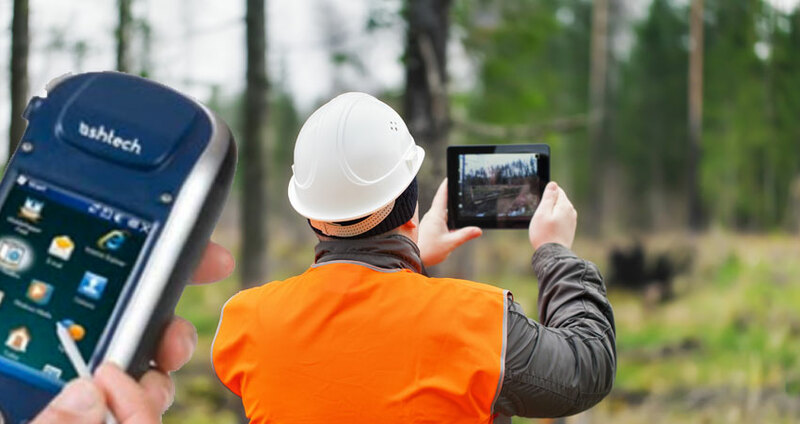 Our surveyor will visit the property and assess the condition and structural integrity of the tree (s) at the location, discussing any potential impact they might have on the property with regards to direct damage (i.e. branches impacting on buildings) and / or indirect damage from roots. Local authorities generally insist on a BS 5837 survey / report for new development proposals where trees are noted to be present. The survey includes an arboricultural impact assessment, an arboriculture method statement and a tree protection / constraints plan. In order to lay out the site, a topographical survey will be undertaken which is a normal part of the planning process. This survey will include details from ground levels to existing buildings, roads and services. After visiting the site and surveying the trees, our surveyor will look to produce a plan based on the topographical plan and / or look to liaise with the clients’ architects to transpose the tree related information as a layer onto their plans. Trees are assessed and graded on their value and their remaining contribution. An Arboriculture Impact Assessment follows on from the BS 5837 Tree Survey. We offer a consultancy service to help maximise the potential of a site without impacting on trees (which would risk a planning refusal). We identify potential conflicts and offer solutions to increase the likelihood of a successful planning application. After the design stage an AIA is conducted, which summarises the tree work required to facilitate the development. It will detail things such as how many trees are to be removed or pruned in each category, how the root zone of trees to be retained will be affected, how retained trees will be protected during construction and highlight special construction techniques that should be used in the root protection areas of retained trees. The AIA usually includes a draft Tree Protection Plan visually illustrating the tree protection and special construction measures required. Once the design proposals are finalised, this type of report advises how to ensure that retained trees are not damaged during construction. The majority of planning applications will require an Arboricultural Method Statement if trees are located nearby.